Life in Marseille is known for being led at an energetic pace and the many charms of this city are often compared to those of Paris. Locals in Marseille are particularly gregarious and enjoy many seasonal outdoor events, and al fresco dining whenever possible. Although much of Marseille comprises modern housing estates and residential areas, there is still plenty of character. The Old Port (Vieux Port) district is truly the heart of the action, incorporating the marina and many good restaurants close to the waterfront. Whilst the city is home to a population of just over 800,000 people, the metropolitan area features in excess of 1.5 million inhabitants and is continually expanding at every opportunity. Within the city proper, the Marseille Tourist Office is well worth visiting and features a number of helpful English-speaking staff. If you have some money to be exchanged, numerous banks and foreign currency exchange outlets are located on La Canebière and close to the Vieux Port, such as 'Canebière Change'. Most hotels, shops and restaurants are more than happy to accept payment by credit and debit cards, although if you need a spot of cash quickly, the city's plentiful ATM cashpoints are always on hand. 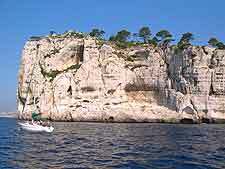 Marseille's tourist information outlet can be found in the Vieux Port area and is sited at one end of La Canebière. Staff here will be happy to help you make the most of your stay. An additional tourist office is located at the Gare. St. Charles train station and whilst smaller, is still full of the usual leaflets and some handy maps. 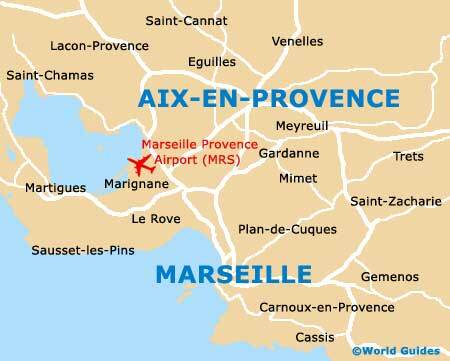 French is the official language in Marseille and throughout France, also being spoken in Belgium, Switzerland and Luxembourg. 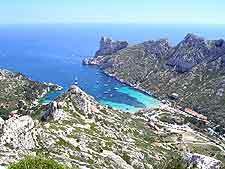 Even the most basic French is useful when staying in Marseille, if it is simply to ask for directions or what the time is, so be sure to pack a pocket-sized French phrasebook. Below are some useful phrases to get you started. How much is it? - c'est combien? Is there a hotel near here? - y a-t-il un hôtel près d'ici? Where is the nearest railway station? - où est la gare la plus proche? 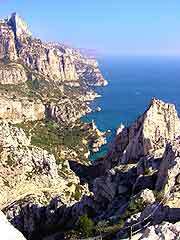 The French Franc is no longer the currency of Marseille, being replaced by the Euro (EUR) in 2002. 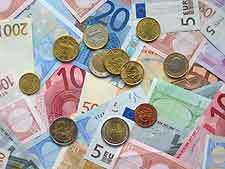 Also used in many other European countries, the Euro coins and notes come in the following denominations.